Passionate, 5 generation Winemaker, Mandy Jones excitedly announces that the Jones Winery and Vineyard Restaurant Rutherglen has recently welcomed a new chef, former Albury resident Briony Bradford - Briony's approach to cooking is French inspired and evolves with the seasons as she writes her menu based on what is fresh and ready to use in the region at the time. Her experience in the kitchen spans over 15 years and her niche in French cuisine was derived after having worked alongside and been mentored by some of the best in the businesss, both in London, UK and Sydney, AUS. 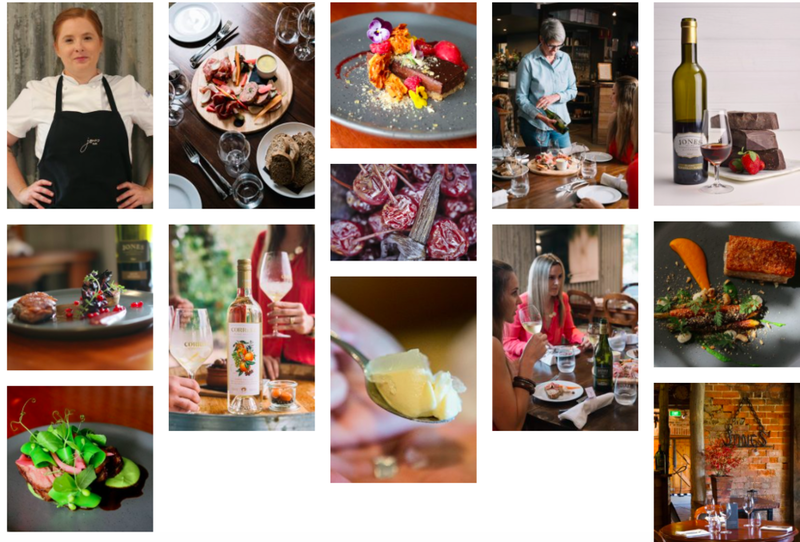 The new and very exciting flare added to Jones Restaurant will no doubt pose as a fantastic asset to the Rutherglen region, introducing something new and fresh to the food and wine scene that we all love so much so, that we travel to the area just to experience it! I personally haven't taste tested any of Briony's exquisite looking creations - yet! though A friend of mine at Explore Rutherglen tells me she most certainly recommends it and can definitely vouch for her food! which is great to know and I'll definitely be making my way over to Jones Winery ASAP to try the new menu and expectedly develop my own love for her work! See further details in the Press release. See you over there!